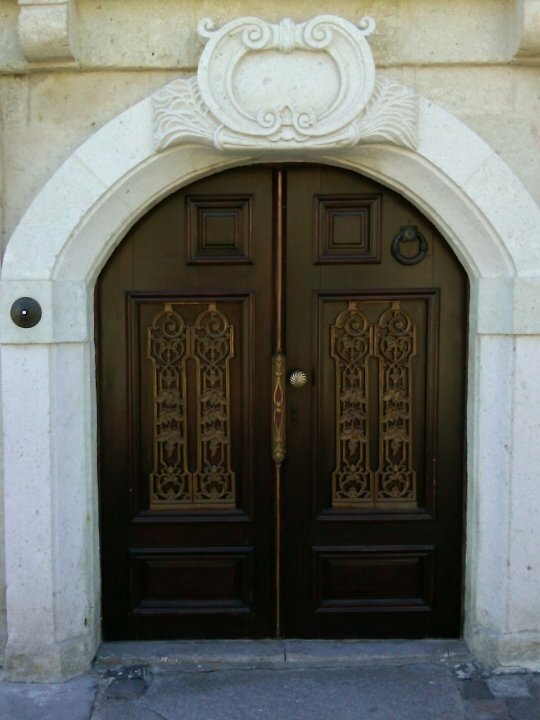 Staying in the town of Urgup I walked the neighborhood in the mornings and viewed a gallery of beautiful doors. When I notice a distinct character I enjoy photographing architectural features of a city or town. For instance when I walked around La Condesa neighborhood in Mexico City I enjoyed seeing the art deco features. When I visited the Cappadocia region of Turkey in 2009 I was traveling light as usual and my Blackberry Tour was my only camera for the entire trip. Cappadocia and the Goreme National Park which is a UNESCO World Heritage Site are intriguing places to see both for the geological formations and the historical features. Touring the ancient underground cities and staying in a cave hotel are a unique experience. Countries with a long history such as Turkey provide a better chance of seeing interesting architectural styles. Curved doorways offer more interesting design appeal compared to the sharp right angles of most modern doors. Perhaps they didn’t worry so much about the budget and cutting costs like builders nowadays. Whenever I travel I notice beautiful architectural features like doors, windows. and gargoyles on old buildings. 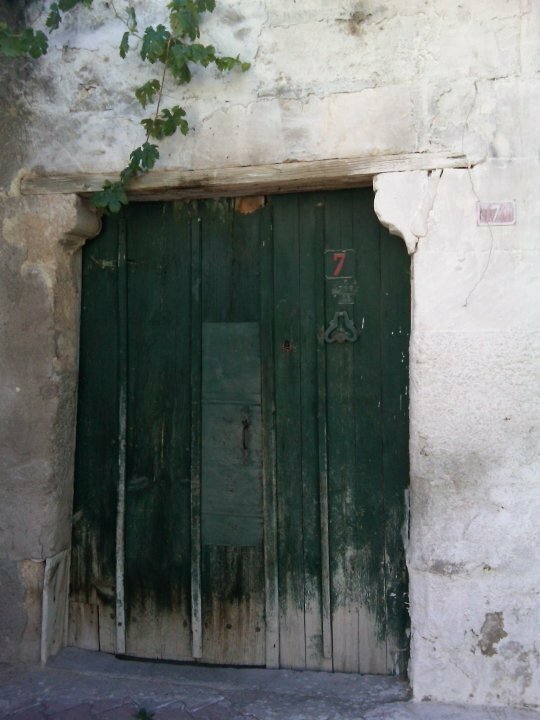 Since I enjoy walking in order to explore new places I often seek out neighborhoods with older buildings so I can photograph the doors or windows. 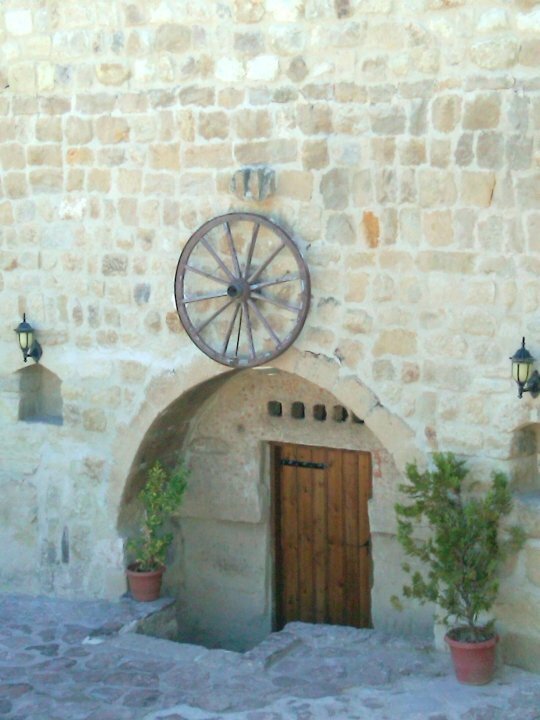 Staying in Urgup to visit Cappadocia I enjoyed getting out to stroll around the streets by the cave hotel. Visiting in October the weather is cooler but pleasant, fall is a perfect time to visit Urgup and explore the town. Oh fabulous. I love photographing doors and windows. Thanks for sharing. 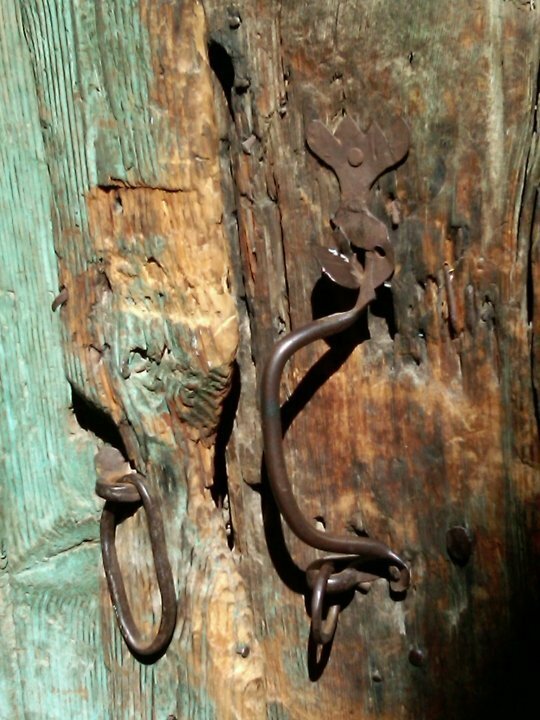 Fabulous photos of the ancient doors. Love the closeups. Fab photos, my favorite being the first. Something special about that color. wonderful. 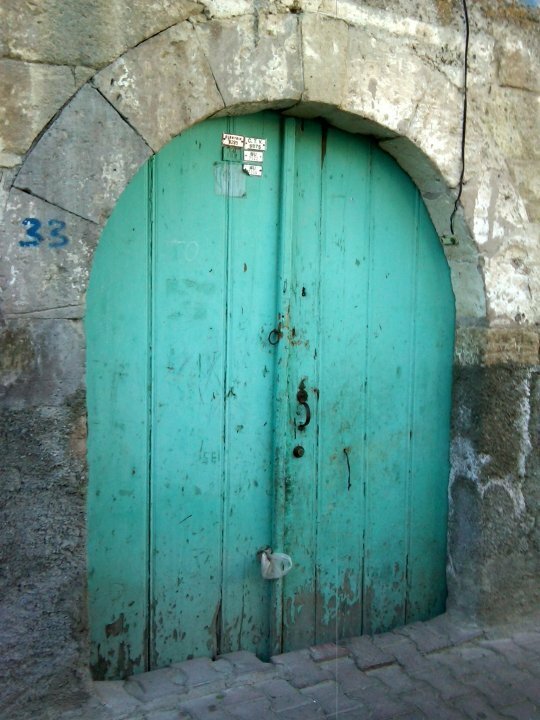 I love old colorful doors filled with that beautiful patina. They are so enchanting. I also love old hardware. 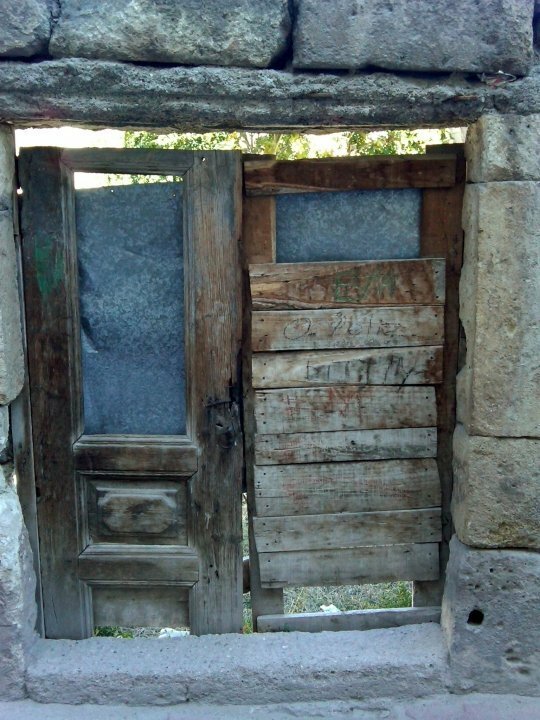 a lovely array of doors! What great photos, I can’t believe they were all taken on a phone! Thank you all for visiting! 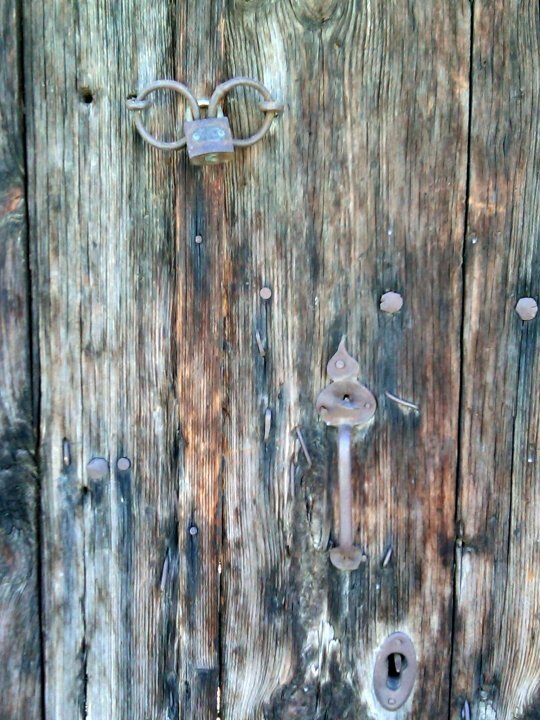 I think doors have such great character, they make a wonderful subjects for photography. The ones with a lot of texture grab my attention. I think the key to taking photos with a not so great camera is the lighting, and proximity of the subject. Landscape photos don’t turn out so well with my camera phone. I still have that blackberry phone but I’m ready to upgrade to a fancier model with a spiffier camera!